The price cap for energy bills is proposed at £1,136 a year for “typical usage” and Ofgem says that this should save about £75 a year on average for around 11 million homes in England, Scotland and Wales that are currently on standard variable tariffs deals. The precise savings will vary between households, depending on which company supplies them with electricity and gas as well as how much they use. 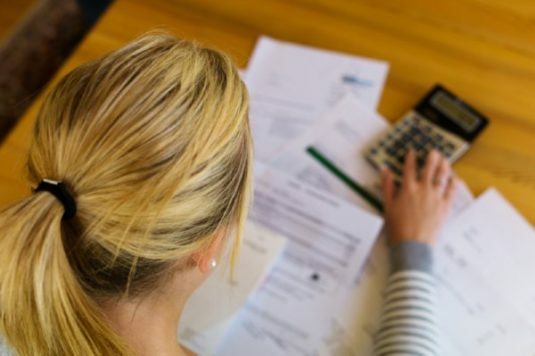 Some households could save £120 or more. The cap is planned to start in December and run for five years. Any savings will be welcome for millions of people who face rising bills and other strains on household budgets but it is clear that better nationwide lead on energy efficiency is sorely needed. This was amplified by the recent report from the National Infrastructure Commission (NIC), which provides the government with impartial, expert advice on long-term infrastructure challenges. The NIC report in July teased out the UK’s infrastructure needs in the decades ahead and crucially it positions energy efficiency as absolutely essential if we are to achieve a low-cost energy system. Efficient heating and insulation are priorities with the need to better manage water supplies also key, along with less wasteful ways to consume electricity. The need for effective energy saving was echoed by Lawrence Slade, chief executive of Energy UK, in his response to the Ofgem price cap move. The government gave Ofgem power in July through the Domestic Gas and Electricity (Tariff Cap) Act to introduce the cap with the aim of helping people struggling with increasing costs of heating and lighting. But now, there are concerns over the exact effects of the energy price cap with some consumer groups warning that the energy companies might raise prices on some fixed-tariff deals while reducing the range of choices available. This was emphasised by Lawrence Slade, representing the companies in the sector. He advised that there would be more than 70 suppliers in the energy market and for many the price cap would pose a significant challenge. So, with the continued threat of rising energy prices it is clear that making moves to make homes and businesses more energy efficient is the best way to ensure costs are controlled both in the short term and over the coming decades. Hard-pressed households can make some easy choices and with a little initial outlay reap rich rewards over the long-term. It is worth restating how important it is to move to low-energy lighting and water-saving devices. Choosing to install LED lighting is a simple way to cut electricity use and the amount saved should ensure that the costs of the bulbs and lamps are repaid very quickly, depending on how often they are used. The recent halogen bulb ban helps to emphasise the importance of moving to LED lighting and with the best quality products, savings of up to 80% in energy compared with standard bulbs can be made. What’s more the LED bulbs are built to last, giving you decades of trouble-free light. It’s also worth checking out the lighting controls and smart lighting options available, all of which add to the energy savings. It’s also often forgotten that one of the best ways to reduce energy consumption is through better control over the amount of water being used. Less demand reduces the amount of energy used to heat and pump water around the home or business. And it is very easy to reduce water usage by up to 60% simply by fitting devices like eco shower heads and eco taps as well as flow restrictors and tap aerators. Any household or business with water meters will see an immediate, impressive reduction in costs. For others, the reduction in water use will help to reduce energy bills significantly. Along with energy-saving moves, the decision to switch supplier will make a big dent in energy bills. One in six customers have done so in the past year. But more than half of households in Britain are on standard variable deal either because they have never switched or have not done so recently. The energy price cap might act as an “inertia tax” and encourage people be happy with the reduction rather than make the move to find a cheaper deal. That would be a mistake. For businesses (not covered by the energy price cap) switching supplier should help to drive down operating costs. Our stress-free service shows businesses how much they can save on utility bills and takes just minutes. Businesses also get free credits to use on amazing products and services.